Dnipropetrovsk is spread across both banks of the great Dnieper River, and is one the most colorful and interesting cities of eastern Ukrainian. In addition to being the largest industrial and economic center, it has the status of being Ukraine’s space capital, and it is an extremely charming city, attracting visitors with its beautiful architecture, numerous parks, picturesque boardwalks, and precious historical memorials. 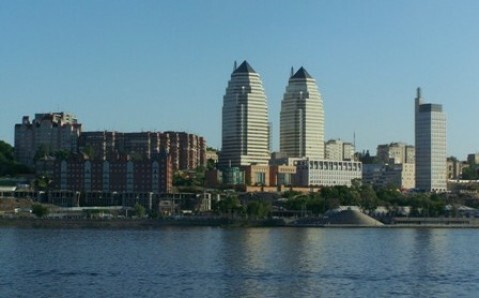 Dnepropetrovsk’s history began in 1776, when Catherine the Great (on a trip through the region) ordered general Gregory Potiomkin to establish a city here. However, the city’s construction did not begin until 1787. The building of the Transfiguration Cathedral started at the same time, when the empress herself set the first stone in the structure’s foundation. The town, originally named Yekaterinoslav, was intended to become Russian Empire’s third main city. But these plans were not to be: after Catherine the Great died, the city’s construction and development slowed down considerably. The city’s fortunes changed only in the late 19th century, when Yekaterinoslav prospered, as large ores deposits were discovered and a railroad was built nearby. Soon, it became one of the Russian Empire’s most important industrial centers. 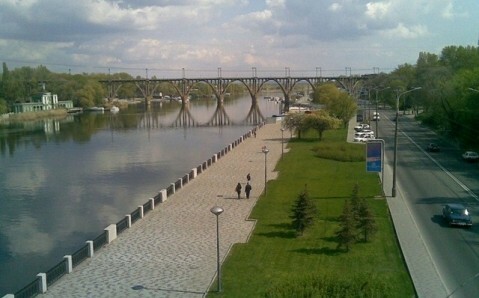 In 1926, Yekaterinoslav was renamed into Dnepropetrovsk: its new name was a combination of the Dnieper River and the name of the Soviet official Grigory Petrovsky. Modern Dnipropetrovsk easily weaves together the rhythm of a fast-paced business center with the peaceful atmosphere of countless parks, in which local residents like to spend their time. But the most popular place to walk and rest is the beautiful Lenin Boardwalk, which happens to be the longest in Europe. It leads to most one of the most interesting of the city’s landmarks, the legendary Monastyrsky Island. It is well established that in the 9th century, a Byzantine monastery stood here (which explains the island’s name). At that time, a famous trade route between the Varangians and the Greeks passed through the Dnieper River, and the island was often used as a stopping point. The Old Russian princess Olga once waited for a storm to pass in a local monastery; and shortly after that, the prince Vladimir the Great rested within its walls. 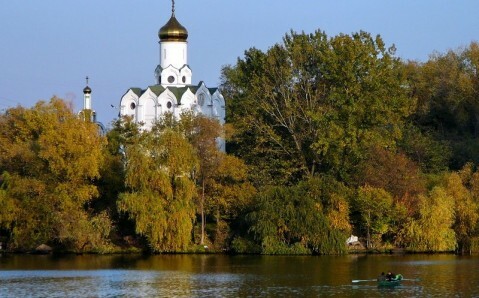 Today, Monastyrsky Island is part of the largest park of Dnipropetrovsk - Shevchenko Park. In the park is a cableway, from which you can get amazing views of the city and the splendid St. Nickolay Church. The park is so splendid, that even the pedestrian bridge leading to the island is considered to be a landmark of its own. Dnipropetrovsk main road, the Karl Marx Avenue, beckons visitors with its beautiful structures that have survived since the 19th century. Among them, the most notable are the buildings of the National University, the City Duma (Parliament) and the English Club, as well as the famous History Museum - one of the oldest in Ukraine. It is famous all over Ukraine for its impressive collection of antiquities and artifacts, which number over seven thousand. In the museum, a diorama called "Battle of Dnieper," which recounts the events of World War II, will attract your attention, as will the collection of ancient stone sculptures, one of the largest and most impressive in the world. The age of some of sculptures goes back up to five thousand years! The architectural pride of Dnipropetrovsk is rightly considered to be the Transfiguration Cathedral, the same one that has been there since the beginning of the city’s history. 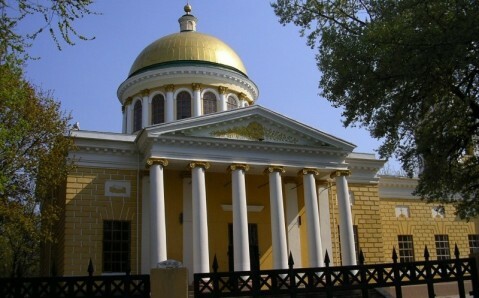 The architect wanted for Dnepropetrovsk’s church to exceed Rome’s St. Peter's Cathedral in size. Even though the idea was not fulfilled, the Transfiguration Cathedral is still an incredible sight to see, due to its stern splendor and understated beauty. Today, it is not only one of the most breathtaking cultural buildings in the city, but is also its spiritual center. 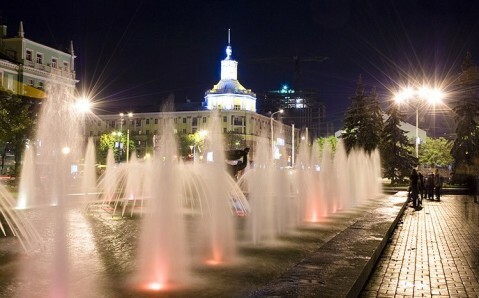 Dnipropetrovsk attracts with its great harmony. Two centuries-old classical buildings stand comfortably next to modern "high tech" buildings. And the severity of industrial giants is subdued by the rich greenery of picturesque parks and boulevards. 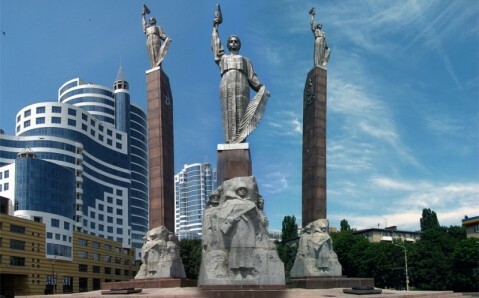 All of that, along with a unique historical and cultural heritage, creates an inimitable atmosphere that makes Dnipropetrovsk unlike any other city in the country, and attracts thousands of travelers from all over the world. With its portly 19th-century houses, trams trundling along leafy boulevards and beautiful river vistas, Dnipropetrovsk has the potential to become an attractive city.